Thanks to all who participated in our 1st PPNA Bike and Brew! And an extra special THANKS to Cindi for coordinating! How about supporting a local business and getting some exercise and fresh air at the same time? 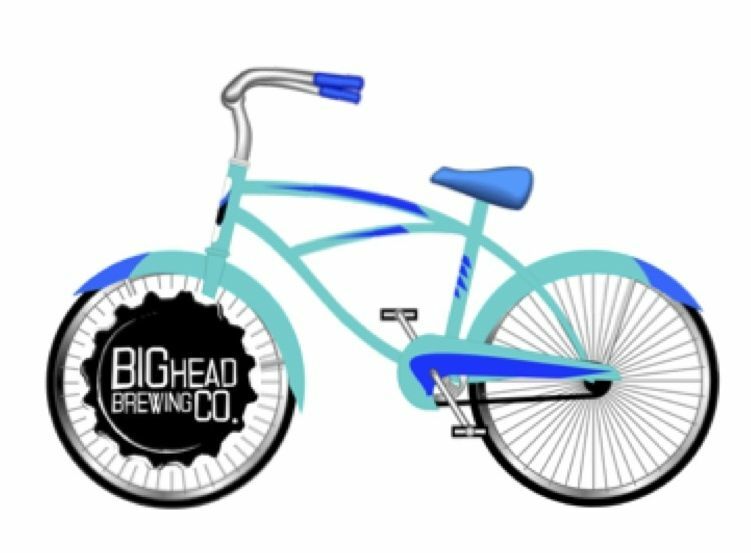 Bike to Big Head Brewing Company for a tour and sample some of their beer while mingling with your PPNA neighbors. Sample one beer or a flight of their offerings. We are allowed to bring our own snacks. There are chips and frozen pizzas for sale. Andrew Dillard, a co-owner, said that we can park our bikes inside. It’s very casual, picnic table style. Hopefully the weather will be nice and the garage door will be open. If you’d like to bring a snack to share, feel free to mention that in the R.S.V.P. Please reply to the invitation on our Nextdoor site or pabstpark@gmail.com if you are not a member on Nextdoor. If you want to bike over as a group, we will be meeting on the north side Washington Playground at 1:45pm. Thanks so much to Cindi for coordinating this fun outing! Even if you don’t have a bike, feel free to join us!! Contact Jenny Foshag at jsbrand27@hotmail.com for a list of local babysitters. Check out Big Head Brewing’s website! 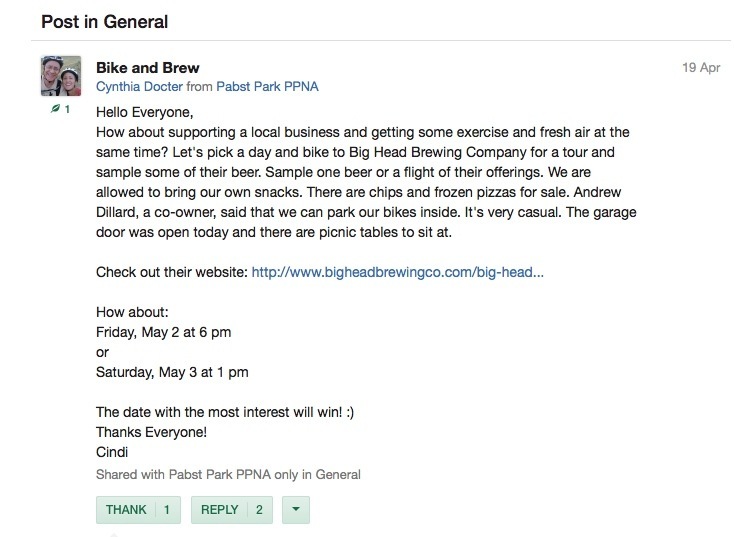 If you are a member of the PPNA Nextdoor site, please check out Bike and Brew coordinator, Cindi’s request for a preferred date for the Bike and Brew. If you are not a Nextdoor member, please email me at pabstpark@gmail.com with your preference and I can pass the info along!